Quality household furniture is an investment that can last for many years to come if it is properly cared for, but sometimes, even well made pieces happen to get scratches or dents in them from day to day wear and tear. It isn't necessary to discard furniture like this after it begins to look a little worn out and faded. Many pieces can be fixed up in less than an hour with a few tools that are commonly found in most people's homes. The methods of covering Scratch and Dent Removal vary depending on what the furniture piece is made of. This article will cover how to hide those on items made of wood that have common varnish or stain finishes. Because furniture comes in so many different colors, matching some shades isn't easy. To make the task more simple, it helps to use a box of art pastels and crayons instead of wax wood sticks, but those will work too. You will also need an old iron, a scraping tool, a soft cloth, and a small razor blade. 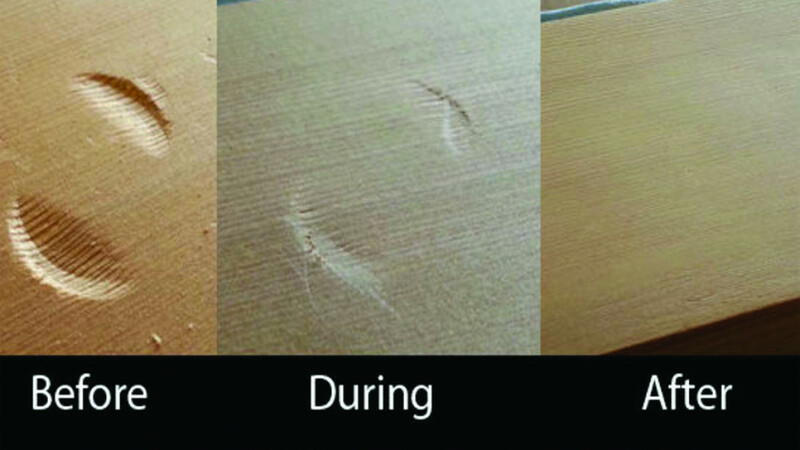 Scratches are the most easily fixed wood furniture repair to do. Start by heating up an old iron on its lowest setting. Keep its power on while you work because you might need it several times. Choose a crayon that most closely matches the color of your piece of wood or, you can choose two of them to blend together for a better match. Press the crayon on the iron to heat it up a bit, then run it across the scratches that you see. The heat will melt it enough to make it more pliable. If you are using more than one color then repeat the process with the second crayon over the same scratch. After the wax cools, polish the area gently to blend the colors with the natural wool grain. This will make the area less noticeable. If the scratch is very small, markers can be used to cover them too. They can't be buffed and blended as easily as crayons can, so be sure to apply them to the area just a few dots at a time copying the woods grain for better concealment. Dents are repaired differently than scratches. The process is simple, but it does take overnight. Always be sure to try fixing a dent on a small inexpensive piece of furniture before using the method on something like an antique where it could reduce its value if not done properly. To get started, turn the piece of furniture on its side to be sure you can work with a flat surface, if that is possible. Be sure the side with the dent is facing up. Then, use the razor blade to make a tiny incision in the center of the dent. Sprinkle a few drops of water over the incision, and let the water sit on the wood overnight. The water will swell the wood in the center causing the dent to disappear. This works best on very small dents, but it can also help lessen the appearance of larger ones too. 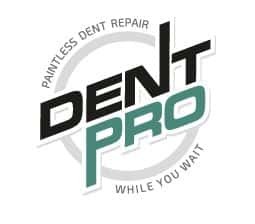 Many reputed services, like Dentpro.ie, use this method for removing dents. 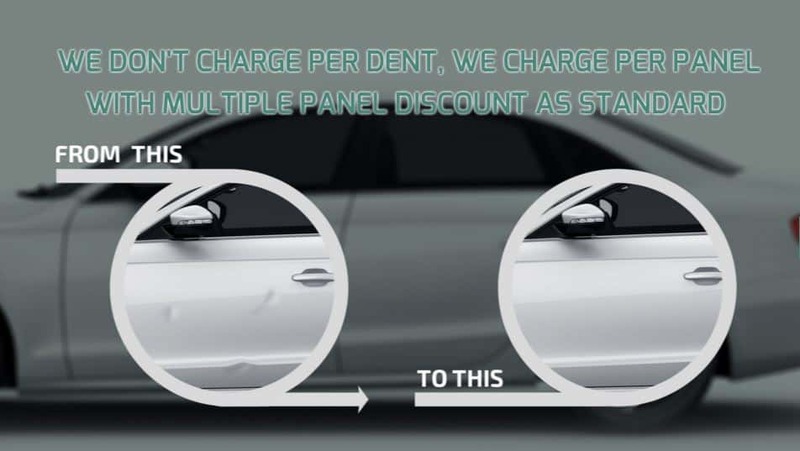 If you find that the dent hasn't raised up enough, you can either repeat the process, or try covering the dent with the above mentioned scratch coverage method. Just be sure to apply a little extra wax to the dent, and then scrape it off to a flat level surface with the scraping tool. Stick to buffing the outer edges to avoid removing the wax filled center of the dent.